Suppliers working within the field of cyber are being urged to sign up to R-Cloud, the Defence Science and Technology Laboratory’s (Dstl) commercial framework. 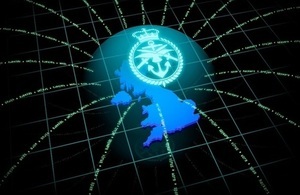 Dstl’s annual expenditure on cyber research is approximately £10 million. Cyber research organisations can access some of this funding via contracting opportunities and mini-competitions on R-Cloud. Details on how to apply, as well as gain an insight into likely contracting opportunities, are available through the Defence Contracts Online Pre-Qualification portal using the access code: 8E36MKSA8W. The deadline for submissions is 11:00 Mon 22 June 2015. Tasks placed through R-Cloud now extend across 8 of Dstl’s technical areas; along with cyber, they include chemical, biological, radiological and nuclear (CBRN); counter terrorism and security (CT&S); command, control, communications, computers, intelligence, surveillance, and reconnaissance (C4ISR); integrated survivability and platform systems; human capability and weapons. More than 300 individual suppliers have signed up to the R-Cloud framework and we have run 25 mini-competitions to date. As well as launching this new cyber capability framework, we are currently seeking additional suppliers within the integrated survivability and platform areas, so suppliers interested in those areas should register now via the Defence Contracts Online portal.